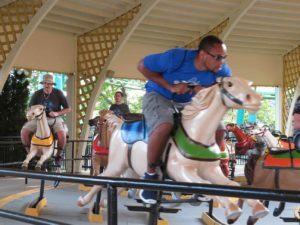 For the last several years, several of the U.S.-based members of the Coaster101 team have gotten together at a few different parks once a year. In 2015, it was Holiday World. In 2016, all seven of us met at Kentucky Kingdom. 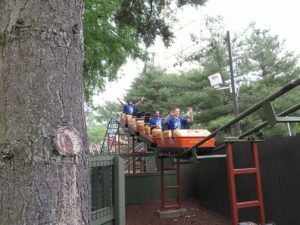 In 2017, five made it to Carowinds, and this year six of us met up at Cedar Point for their annual CoasterMania event. Some of us were seasoned Cedar Point veterans, others had been to the park before, but not in several years, and for at least one of us, the trip to Cedar Point was a first-time visit. 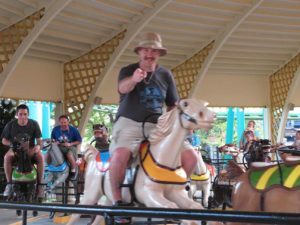 We all had a blast at CoasterMania, but because reading a trip report of eighteen (or more) hours in the park from each of the six of us may be a little tiresome and repetitive, we’ve decided to hit the highlights for you! 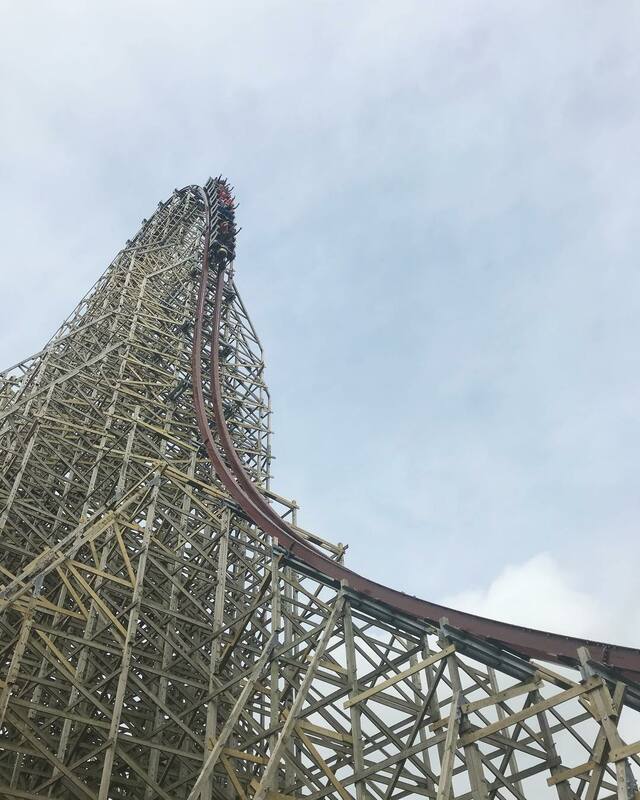 If this was your first time riding, what did you think of Steel Vengeance? John: Now that a week has passed, I’m finally able to gather my thoughts on this beast. I think everyone can agree that it’s a roller coaster engineering marvel. I rode it three times, but I think I would need many more rides to truly grasp everything that it offers. It’s one of the longest roller coasters I’ve ever ridden. It’s unrelenting in its intensity and length. It keeps going like the Energizer bunny. 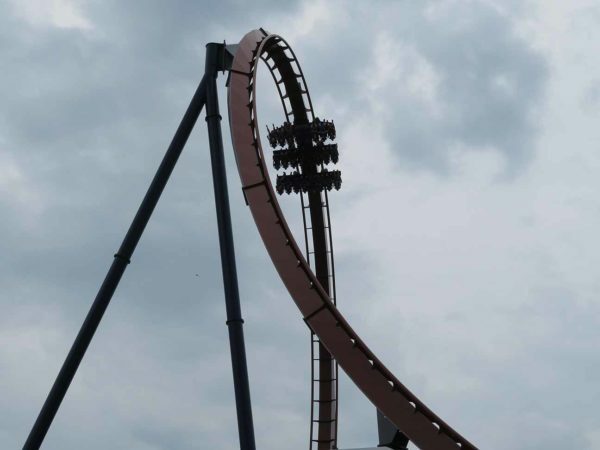 There are so many unforgettable elements, but one that stands out in my mind is the “twisted snake dive.” It begins somewhat like a zero-g roll, but then stalls upside down while simultaneously dropping. It sounds ridiculous putting it into words. 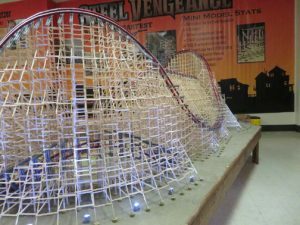 The second half of the ride — shrouded in the dense wooden structure — is pure coaster ecstasy full of airtime, inversions, over-banked turns and of course speed. It’s truly a magical experience. There aren’t many roller coasters that I’d wait hours for, but this one is an exception (especially since the majority of the queue is situated in the middle of the towering layout. Andrew: It was beautiful to look at from all angles. Unfortunately, I didn’t get to ride, but that’s just motivation to get back to Cedar Point sooner rather than later. Nick: I need to ride it again! Three times is not enough. It’s so hard to rank rides, especially when you’ve ridden a coaster one time ten years ago versus one you rode ten times one day ago. So I’m going to go the easy route and simply say Steel Vengeance is among the best coasters I’ve been on. Eric: I mean, I don’t think there’s that much new to say here, it’s an awesome coaster. I think what stood out to me was how much of it is under the structure. I love the fact that the queue goes right through the middle of the coaster, but even after watching it while waiting there is so much that I had no idea was coming. I’ll add that the night ride was even more exciting. The combo of it being dark and so much of the track happening within the structure was completely disorienting. After one of the barrel rolls within the structure, I literally did not know which way was up. I thought we were still on our side until realizing a second later that we were actually back to sitting vertical. Not knowing which way was up is maybe the best praise I can give a roller coaster. Mike: I got to ride Steel Vengeance twice during Coastermania, and my opinion of the ride was different after both rides. It was an awesome ride, like everyone else has said. But there seemed to be something missing. I had recently gotten the opportunity to ride Wicked Cyclone at SFNE, and that ride was one of the first in a long time to literally go “What the **** was that?” during the ride. My bar had been raised on RMC coasters. During the first ride, I was sitting near the front of the train (second or third row I believe). My thoughts were that it was an amazing ride, everything I loved about RMC except bigger and faster, but it didn’t truly wow me. My second ride at night changed that opinion. It’s like the coaster came to life to challenge my opinion of it! The second half of the ride made me go “What the ****” MULTIPLE times. I was sitting next to Eric during that night ride and I, too, had no idea what direction was up during several points on the ride. Definitely changed my opinion of the ride. Steel Vengeance is one of the best coasters I’ve ever experienced. John: This is a tough one. Fully grasping and ranking 18 new-to-me coasters ridden in less than 48 hours is a tall order. The views from some of the coasters skew my perception of the ride itself (e.g. Valravn and Gatekeeper). But when I frame this question in terms of memorability, Millenium Force and Steel Vengeance are two that come to mind first. So I’m going to say that they’re tied for the top spot. But that could easily change during my next visit to the park, which hopefully isn’t too far away. Andrew: Maverick, hands down. 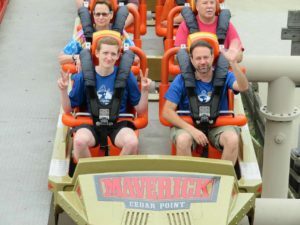 I had been to Cedar Point once before, and of the six coasters I rode on that trip, Maverick wasn’t super impressive to me, however, with the new-to-me “soft” restraints, it quickly shot up the list of not only my favorite coasters at Cedar Point, but cracked my personal Top 5, especially with a back row ride. I managed to get a few night rides on CoasterMania night, and it’s up there with some of my favorite night coaster rides of all time. Kyle: Millennium Force was my favorite coaster for years, then Fury 325 came along, but now when you throw Steel Vengeance into the mix it all gets jumbled around. 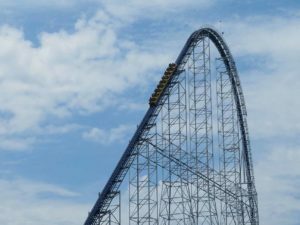 I think if I look at it as what coaster I could reride multiple times and still enjoy, I go with Millennium Force. 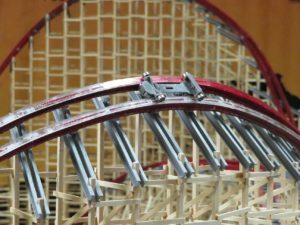 If I look at it as I can only take one ride, I go with Steel Vengeance; it is simply everything you want in a world class coaster. It’s intense (a good thing), but I think I would need a break after a few rides. Nick: Again, so hard to choose one! Instead, I’m going to go with one of my favorite coaster moments: the first drop on Valravn in the front row. Eric: I hate ranking rides, so I’m just going to cheat. I’d put all of Millenium Force, Maverick, and Steel Vengeance up there as five-star coasters. If you told me I could only ride one of those I wouldn’t be able to pick. But, I also would be happy with whichever one I got to ride. 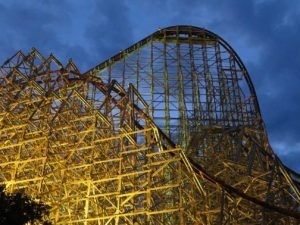 Mike: Maverick is still my favorite coaster of all time, but Steel Vengeance definitely gave it a run for its money. 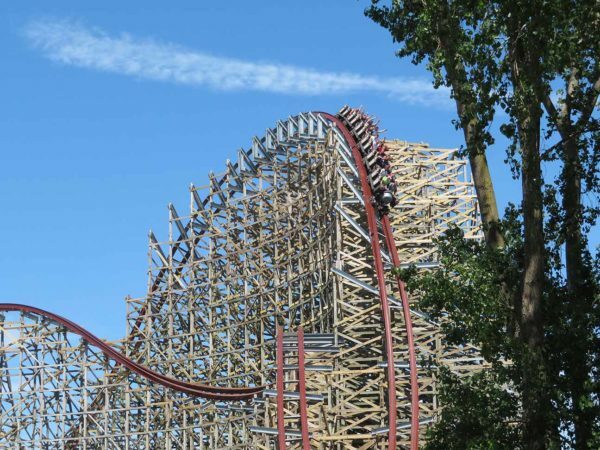 I’d say Steel Vengeance is technically the better coaster. If I had to recommend exactly one ride for someone to ride, then SV would get my vote. But Maverick just has so many things that makes it a sentimental favorite of mine. 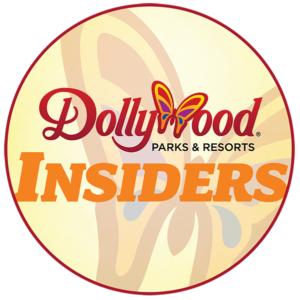 What was the biggest “sleeper hit” attraction of the trip? John: I really enjoyed Gemini. It was much smoother than I expected. I’m always a sucker for a good racing coaster and the resulting interaction between riders on opposing trains. The pops of airtime were fun, and the helix finale was taken at an impressively quick speed. Gemini is a no-frills coaster. It’s just plain fun. Andrew: Like John, I was really surprised by how much I enjoyed Gemini. It didn’t look all that impressive, but I was blown away with how much I enjoyed it. I also have to give a quick shout out to Blue Streak, but that’s because I was able to get a solo ride on it during the night-time ERT, and those are always a blast. Kyle: Since Gemini has already been mentioned, I will go with Iron Dragon. Talk about a ride you could spend hours on. 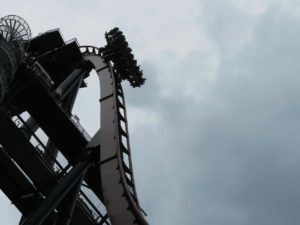 Iron Dragon is smooth and has very graceful turns and gives you a few thrills at the end with its helix finale. It is the most relaxing coaster at the park. 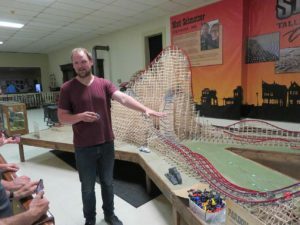 Nick: I thought it was really cool checking out the Steel Vengeance model under construction. I had known about it going in but it was so much larger and impressive in person than I was expecting. Even better was getting to talk to Matt, the model’s creator (and meeting one of our interviewees in person). 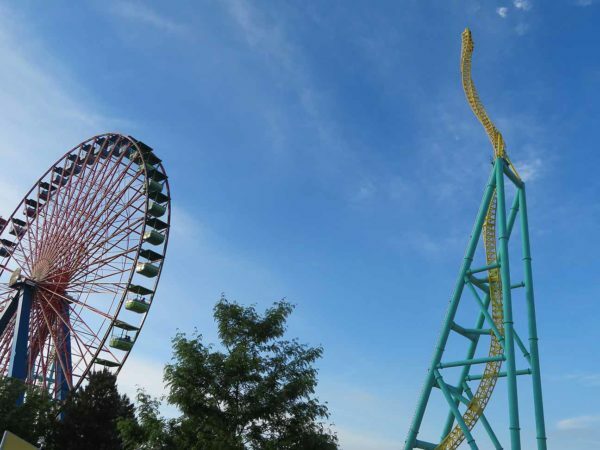 Kudos to Cedar Point for putting money into what is essentially a novelty for the park but one that just makes a visit to Cedar Point even better and another reason to spend multiple days there. Can’t wait to see the model when it’s finished and running. And shout out to all the other Coaster101 fans we met at the park that day! Eric: I’m going with a non-coaster. I felt like I should ride some kind of flat ride, and at Kyle’s suggestion a few of us rode Cedar Downs. First, it’s super rare, one of two racing carousels in the US. Second, it seems way too fast for a ride that has absolutely no kinds of restraints at all. I’m pretty sure when it was at top speed, if I’d stood up I would have been flung off the ride. It was delightful. Mike: I’d have to say ditto on Cedar Downs. During my previous visit to Cedar Point, I had no idea it was even there. I’d never seen anything like it! Everything about it was so cool to me, from the speed of it, to the call of the race blaring during the ride, to the lack of restraints, to the way the horses are designed to slide backwards and forwards along a mini-track to make it seem like you really are racing the horses next to you. Pity there aren’t more of these around. Andrew: I’m actually going to give this honor to a beverage rather than a food — Cedar Point’s Rouga-Brew, that’s brewed by local brewery The Brew Kettle was a fantastic lager that I really enjoyed drinking. I’ll throw honorable mentions to the sliced brisket at Ms. Keat’s Smokehouse in Frontier Town, as well as “The Dude Abides” Grilled Cheese Sandwich from Melt, located near Planet Snoopy. John: I love soft pretzels, so my favorite was hands-down the sweet dough pretzel at the Pretzel Fillers stand. It needed no cheese dip or other accompaniments. I didn’t even need one of the “filled” variety. The plain version was slightly doughy (which I like) and was infused with butter and salt. What more could you ask for? I’m a devout Auntie Anne’s pretzels consumer, but I’d place CP’s slightly above those (which are also available throughout the park). Kyle: The sausage at Miss Keat’s smokehouse was excellent. You could tell that it didn’t just come off of a food service truck and get warmed up. It was juicy all of the way through and had a great sear on the outside. It’s also huge, well worth the money! Eric: I’m seconding Kyle here. I was incredibly surprised by how good the sausage from Miss Keat’s was. It was juicy, smokey, and filling. It also paired beautifully with the Rouga-brew I’d bought next door, highly suggest grabbing one to go with your bbq. Mike: I’m gonna go with the sausage at Miss Keat’s smokehouse as well. Favorite revelation from the Q&A session led by Tony Clark? John: Someone asked other names proposed for Steel Vengeance. While Tony didn’t disclose any because they may be used for another attraction in the Cedar Fair chain, he did describe the process: a bunch of employees packed into a room with a whiteboard and 100s of potential names. While it doesn’t surprise me that picking a name for such a groundbreaking coaster would be that exhaustive, it was still interesting to hear. According to Tony, it was a very emotional ordeal for some, I’m sure many of who were attached to a specific name candidate. Kyle: Something “big” is coming soon. Hard to believe since we are only a month into the unveiling of what some are calling the best coaster to grace this earth. Several times the panel alluded to the fact that there are some plans in place for something for the 150th Anniversary. What could this be? Where will they put it? Nick: I thought it was interesting when Rob Decker mentioned they had three different companies bid on the Millennium Force project. Intamin obviously won, due to the technology and innovations they brought to the table: the cable lift, steepness of the lift, overbanked turns, and fitting such a large ride into the place they did. I wonder who the other two bidders were? Arrow and B&M? There was also an interesting back and forth regarding the accuracy of wait times on the Cedar Point App (which the park is working on making more accurate). Tony posed an interesting question: would you rather have inaccurate times or display no wait times at all? Um, option C – accurate wait times please! Eric: I actually also found the question about wait times interesting. Just understanding the current methodology. The ride ops at the station and at the front call back to estimate the wait based on length, that gets funneled to someone who then has to update the app and push it out to phones. Explains why there can be a discrepancy between the two. It sounds like something that screams for a more high tech solution, which they say they’re working on. Mike: My favorite part of the Q&A actually wasn’t the Q&A portion. It was watching and voting for the best fan-made video entrant for the Coastermania video contest. Some of them were truly hilarious. 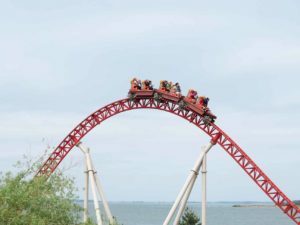 Tips for first-time Cedar Point guests? John: Take a stroll on the new boardwalk that starts near Gatekeeper (outside of the park) all the way to the resort entrance by Magnum. If you’re arriving at or before park opening, you’ll find yourself in the back of the park, which won’t be nearly as packed as the front. Andrew: Know you’re going to be walking a lot. 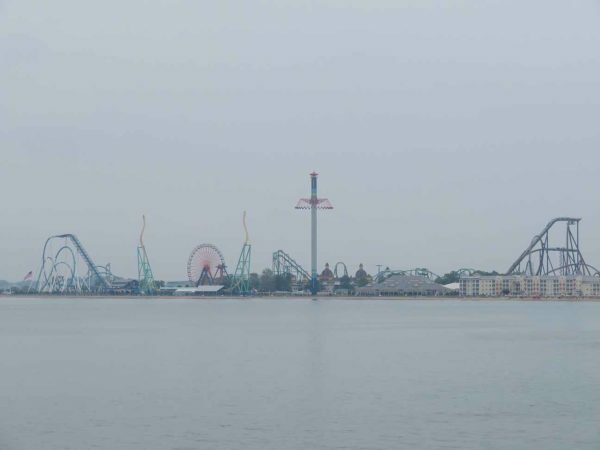 I know that we were there for 18 hours during CoasterMania and logged close to 18 miles on Friday, but Cedar Point is a massive park. I’d also recommend staying at Hotel Breakers if your budget allows. The rooms were nice, and the ability to be a short walk from the Resort gate was a pretty great perk. The views were fantastic as well. Kyle: Try to plan your trip for weekdays in late May, early June. Having done my last few trips to Cedar Point during this time frame, I can safely say it is the best time to visit the park. Most likely you’ll have 10-30 minute wait times around the park, with the occasional exception. If you want to get everything in during one day, this is your best bet. Nick: Don’t miss a ride on the train! Especially the portion between Frontiertown and the Millennium Force station. The coaster views are great but it’s the themed scenes that are really fun to see. Eric: I think you guys covered all the tips I would get. 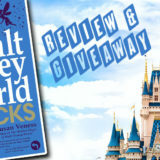 Try to find a way to get some early entry (hotels, pass holders, etc. ), that seemed like the surefire way to get a Steel Vengeance ride with a reasonable wait. Be prepared for a lot of walking, and try to plan your day to minimize it if you can. And like Nick said, ride the train through the themed section that I always forget is there! Mike: Get the all-day ride locker! Nothing’s more annoying than being at a theme park trying to figure out what rides have bins at the station to put your stuff in, or having to pay for multiple lockers throughout the park. With 18 coasters to experience, the easiest thing to do at CP is pay for the all-day ride locker up front. You can transfer your locker access from ride to ride, and there’s plenty of room in the locker, so one should suffice for a group of 3-4 people. Final thoughts on the event or Cedar Point in general? 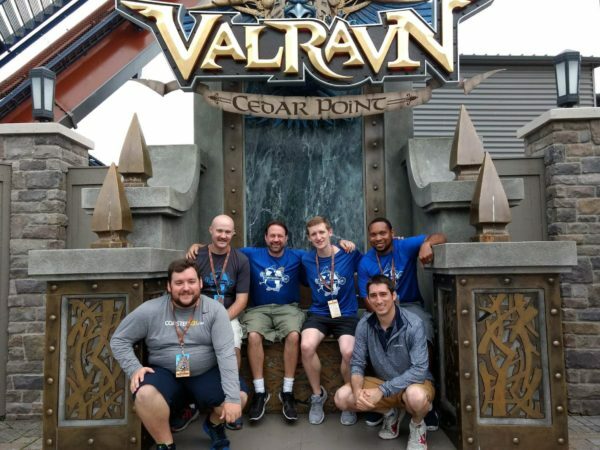 John: I was blown away by the treatment Cedar Point gave CoasterMania attendees: cool shirts, extended ride time before AND after the park closed, great food, an insightful Q&A session…18 awesome hours at the park. I can’t think of a better first trip to Cedar Point, and I can’t thank Tony and the team enough for all the work they put into organizing this event. Nick: Big shout out to Cedar Point and the Steel Vengeance team for getting two trains running just in time for the event! Of our three rides, the longest we had to wait was around an hour, by far the longest wait of the weekend. Cedar Point ride operations are usually among the best and this trip was no exception. On a seemingly low attendance day on Friday they still had two or three trains running on all the coasters, something you don’t see at other parks. Andrew: Having larger body dimensions (is that the PC way to say it? ), I was unable to ride some of Cedar Point’s highlight coasters like Steel Vengeance, Top Thrill Dragster, and Millennium Force. Normally, that would be cause for a lot of frustration and anger, but with everything that went on at Cedar Point on Friday for CoasterMania, and the half day we spent at the park on Saturday, there was so much else to ride, do, and take pictures of that I didn’t let it bother me at all. That should speak to how great both the park and event were. Kyle: Awesome event, as usual. This was my fourth Coastermania and I loved every minute of it. 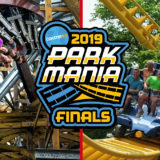 If you are going to be traveling a long distance to get to the park, this event is your ticket to make sure you can experience everything Cedar Point has to offer. Between the ERT and low crowds, there is plenty of time to do whatever you want without the stress of making sure it is going to happen. On another note, I will say that Cedar Point seems to be doing an excellent job of maintaining the older rides. Some coasters that I felt were starting to become a little too rough in the past, I found very enjoyable this trip. 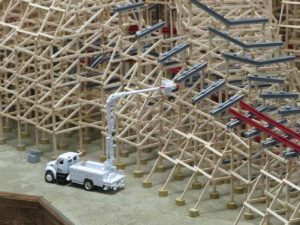 Eric: If you want to pack everything into a day, CoasterMania was a great way to do it! I’d also make sure we give props not just to the not just the organizers for the event, but all the ride operators and employees who were out there extra early and stayed extra late. I definitely felt bad for some of the ops who had to be there for night time ERT running mostly empty trains or sitting at the front of a queue by themselves in a nearly deserted park (also, a mostly empty amusement park at midnight is kind of creepy). Mike: It was an awesome event, but looooong. By far the longest time I’ve spent at an amusement park. But I’m not saying that as a bad thing! If there’s any park that I’d want to spend 18 hours at, it would definitely be Cedar Point! I got to ride all the coasters I wanted to my heart’s content. Day rides, night rides, you name it. I got to relax and enjoy the food, and enjoy the views from the train and the Coastermania cruise. The CP staff was awesome throughout, right down to the wee hours of the night. Definitely an experience I’d recommend for any coaster enthusiast. We had a blast at Cedar Point. For more information, be sure to visit Cedar Point’s website, and follow the park on Facebook and Twitter. And make sure you’re following Coaster101.com on Facebook, Twitter and Instagram as well! Have you ever been to Cedar Point for CoasterMania (or not for CoasterMania)? What’d you think? Let us know in the comments below!